Season 7 has finally arrived in Fornite Battle Royale. Alongside an all new Battle Pass to work through, the update has seen the addition of a new plane vehicle, as well as some new locations. One of those new locations is Polar Peak. Here’s everything you need to know about all Polar Peak Chest Spawn Locations in Fortnite. Polar Peak can be found in the new snowy area of the map, which is in the south west. In that area, you’ll find Polar Peak in the middle. It’s pretty high and pretty open, so you’ll probably want to go there straight from the battle bus. It will be a very busy drop location for the first few days of Fortnite Season 7, as everyone heads there to check it out, but here are all the chest spawn locations that we have found so far. We will be sure to update you here with more locations as we come across them. If you’ve found any other chest spawn locations that we have missed, be sure to let us know in the comments down below. The first two are in the same place. If you head to the top of Polar Peak (north) and break into the building up there, you’ll see that it’s quite open inside. In one corner, you’ll see two chests next to each other. One will be mostly covered in snow, though, with just the shine of the top poking out. 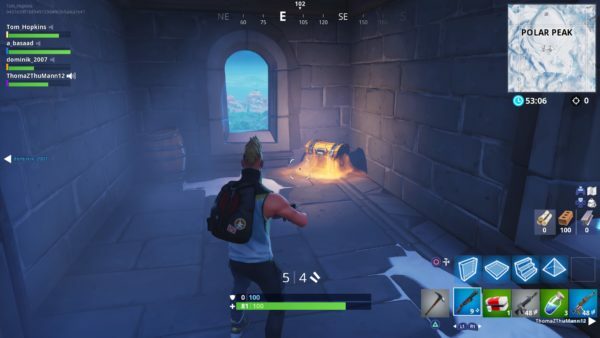 Next, if you head back down the hill from the top and head into the left tower part of the building, On the second floor from the top, you’ll find a chest. It’s the tower that’s the most east, if you’re coming from another direction. 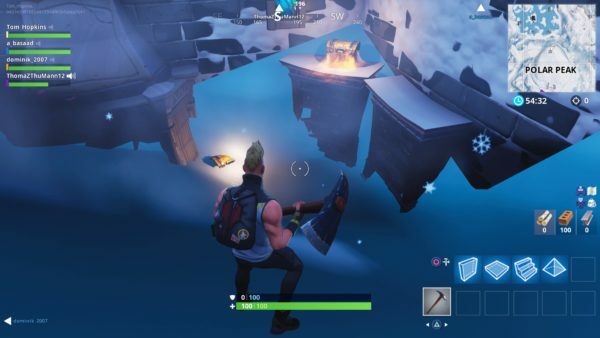 Since there aren’t actually many chests in Polar Peak itself, the next nearest is down from the peak. 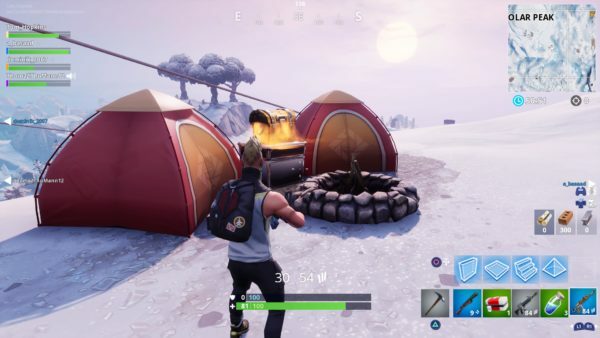 If you go down towards the little tower south east of the peak, you’ll find another chest on a table between two tents, just behind the tower and right of a zipline. That’s all you need to know about all Polar Peak Chest Spawn Locations in Fortnite. For more tips and tricks on the game, be sure to check out our Fortnite Season 7 wiki guide.